The Trump administration is seeking to continue arming and training Syrian opposition forces through 2019, although Daesh (ISIS/ISIL) has been nearly entirely defeated in Syria. According to Russian analysts, the US-backed proxies could be used by the US against Damascus and Moscow. 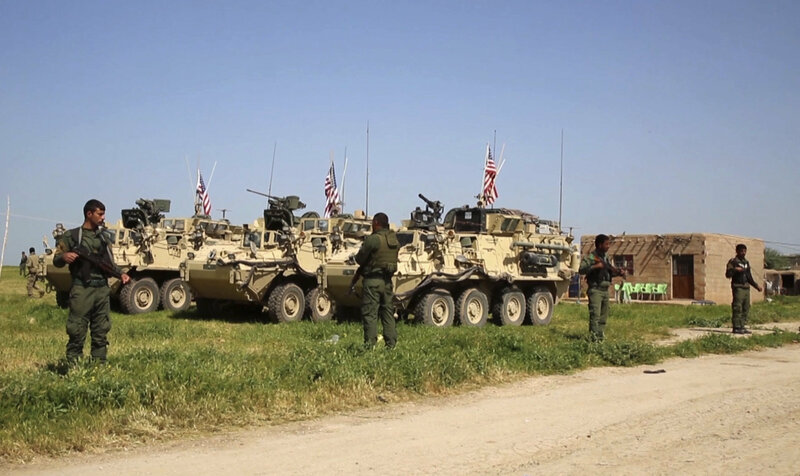 The US is ready to provide military aid to any force fighting the legitimate Syrian government, Ivan Konovalov, director of the Moscow-based Center for Strategic Studies, says, commenting on the Trump administration's proposal to allocate $300 million "to train, equip, sustain, and enable elements of the Vetted Syrian Opposition (VSO) eligible for support under current law " in Syria in FY2019. 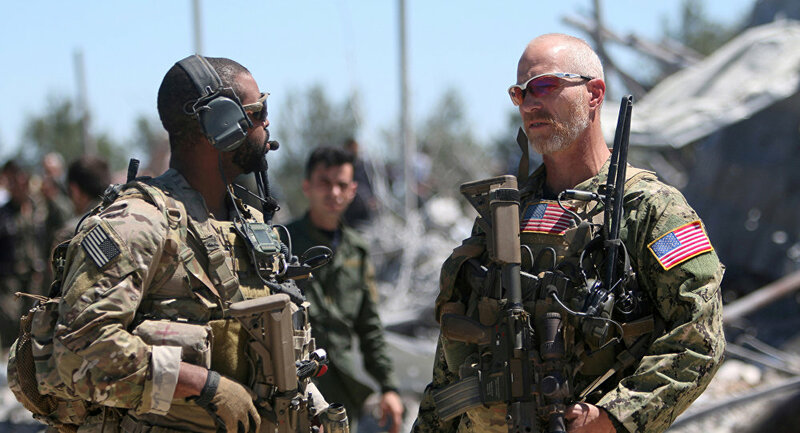 "The weapons appeared to be transferred to the moderate opposition, but somehow found their way into the hands of radical militants which the US itself recognizes as terrorists," Konovalov told Sputnik. The other day the al-Nusra Front militants destroyed the bulldozer of the Syrian Arab Army (SAA) by the US-made TOW anti-tank system in Eastern Ghouta. The United States controls neither the direction where its money goes nor those who get arms. This is a very dangerous approach." On paper, the United States provides support to the Syrian opposition to defeat Daesh (ISIS/ISIL). According to the document, "by the end of FY2018, [VSO] forces are projected to total approximately 60,000 to 65,000; 30,000 to conduct ongoing combat missions against ISIS [Daesh] in the MERV [the Middle Euphrates River Valley, and 35,000 Internal Security Forces in liberated areas (to provide approximately 20 police/security forces for every 1,000 civilians)." However, Sputnik contributor Vadim Saranov finds it strange that the Trump administration highlights the necessity to boost the military capabilities of their proxies on the ground after President Donald Trump announced in his recent State of Union address that "the coalition to defeat ISIS [Daesh] has liberated very close to 100 percent of the territory just recently held by these killers in Iraq and in Syria." ​According to Saranov, it is likely that the train-and-equip program is primarily aimed against the Russo-Syrian coalition. He noted that a few years ago, hybrid and proxy wars were largely considered a thing of the past. However, the Cold War relic could become the main type of warfare in the foreseeable future. "While the First World War was fought with guns and bayonets, the Second World War — with tanks and airplanes, today the main weapon is irregular formations," Konstantin Sivkov, Russian military analyst and president of the Academy for Geopolitical Problems, told Sputnik. Sivkov explained that "hybrid wars emerged as an alternative to a probable nuclear confrontation." "If a third world war begins, it would be hybrid in the initial phase, but it could grow into a large-scale conventional one. Given today's global contradictions, there are more than enough prerequisites for it," the military analyst warned. The first alarm bells rang in Syria over than a month ago when combat drones, which were launched by extremists from the Idlib de-escalation zone on January 6, attacked Russia's bases in Hmeymin and Tartus. Three of the 13 drones detected in the areas were downed, three unmanned aerial vehicles (UAVs) exploded after colliding with the ground, while the rest were destroyed by Pantsir-S air defense missile systems. Although at first glance the photos released by the Russian Ministry of Defense depicted handicraft UAVs made from boards and plywood, with wires, wrapped in tape and green polyethylene, the ministry suggested that the design of the drones could only be obtained from a technologically advanced country. In addition, the Russian Defense Ministry revealed that "by some strange coincidence" a US Navy Boeing P-8 Poseidon was on a patrol mission in the area between the Russian Hmeymim airbase and Tartus naval base when the drone attack occurred. For its part, the US Defense Department stated that it "was not involved in any way" with the drone attack. "There have been a lot of proxy wars in history, but today they appear to be rather sinister," Konovalov said. "The ideological confrontation [between Russia and the US] has disappeared, but [Washington] is trying to maintain the position of the global hegemon. In the context of confrontation with Russia, they may use the [Syrian] opposition against our allies, and maybe directly against us." According to Saranov, it is not the first time that the US has weaponized its proxies to accomplish its own geopolitical objectives. He recalled that the Americans formed its first guerrillas units during the Korean War (1950-1953). The United Nations Partisan Infantry Korea (UNPIK), also known as the White Tigers, carried out subversive raids against North Korea's troops, conducted attacks on communications and command posts. The war in Korea prompted the Americans to create a separate military structure specializing in guerrilla and anti-guerrilla actions — the US Army Special Forces, also known as the Green Berets. The forces were directly subordinated to the CIA. In 1961, American Green Berets formed "civilian irregular defense groups" in South Vietnam, while in the 1980s the Reagan administration used Green Berets to train Nicaraguan rebels, or "contras," in the basics of guerrilla warfare to fight against the country's leftist government.